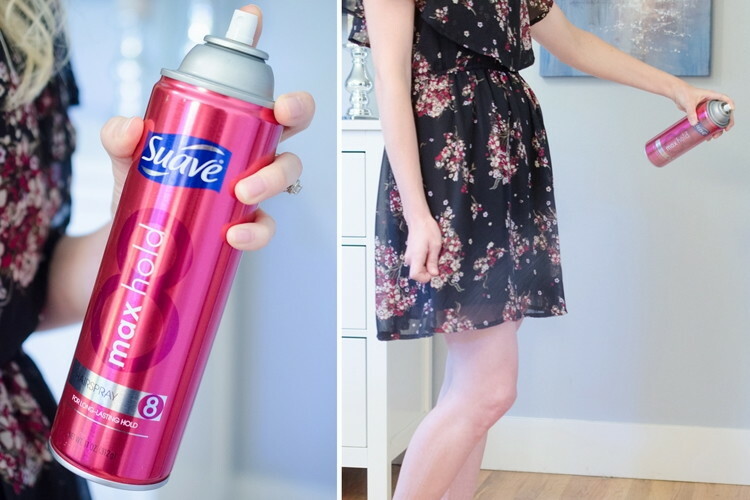 Check out this collection of 16 amazing hairspray life hacks that will totally blow your mind. Whoever though hairspray could be so useful? 1. 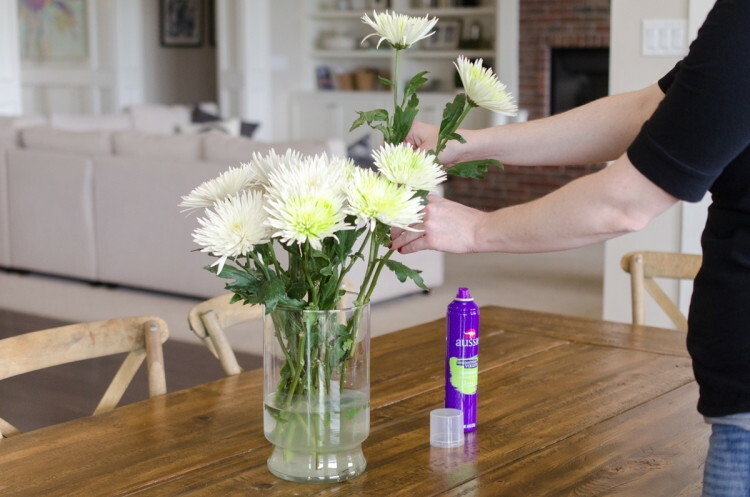 Keep flowers looking fresh longer. 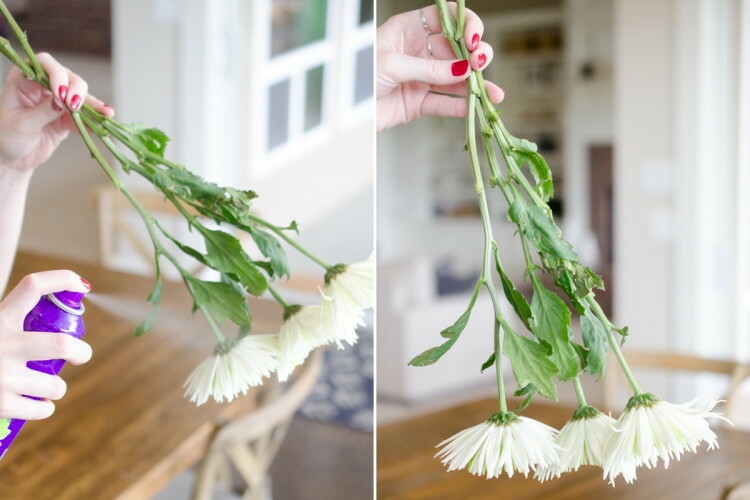 Spray the undersides of petals and leaves then hang upside-down to dry before placing flowers back in a vase. 2. Stop bobby pins from slipping. Spray pins before placing in your hair for a non-slip grip. 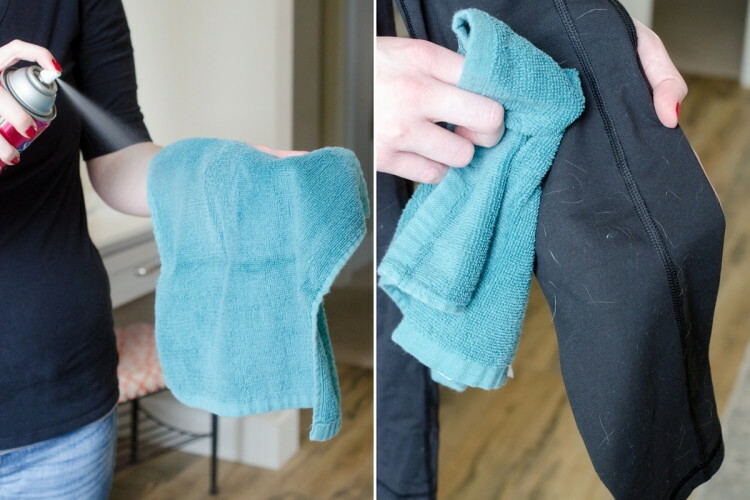 When you don’t have a lint roller but need to get pet hair or lint off fabric, try this! Liberally spray a towel with hairspray and let it dry. Then run it over the fabric to remove any lint and hair. 4. 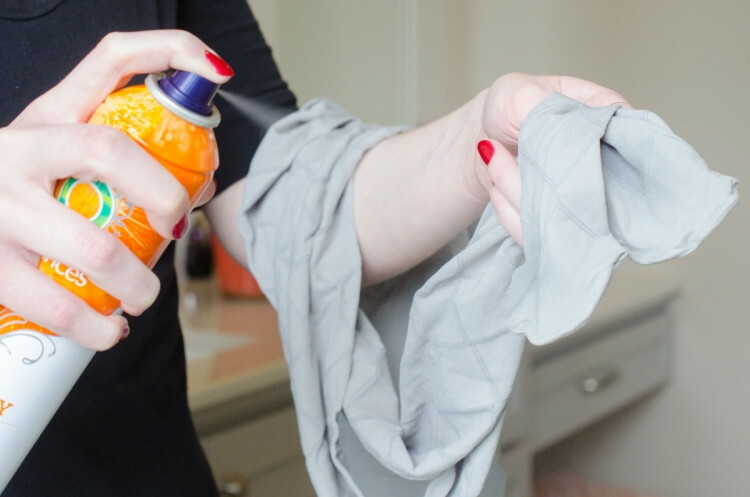 Get rid of static cling. 5. 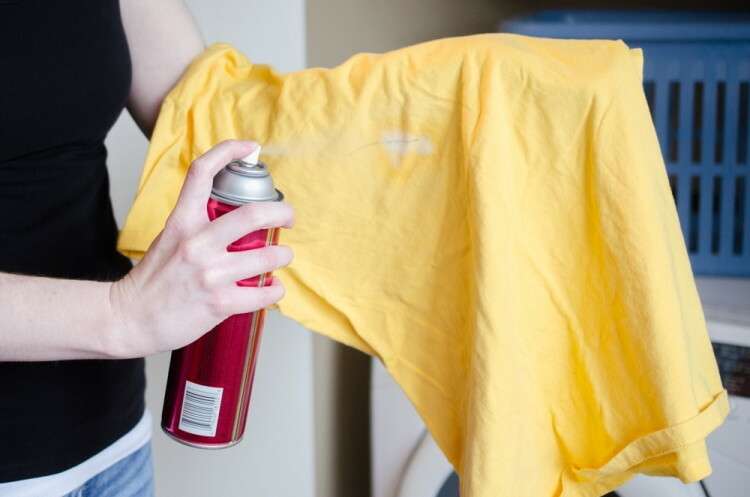 Remove ink stains in fabric. Make sure to use alcohol-based hairspray. Keep in mind that the ink won’t disappear right away, but once you wash it, voila! 6. 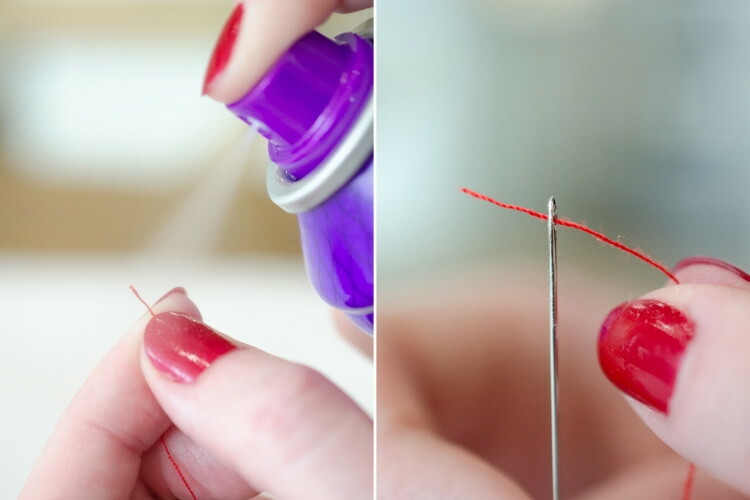 Thread a needle easily. Spray the end of a piece of thread to prevent it from fraying. 7. Keep zippers and screws from coming loose. Have a zipper that keeps sliding down or a screw that just won’t stay in place? Use hairspray — it’ll harden on the teeth and grooves. 8. Prevent shoelaces from untying. This works SO WELL if you have kids who play sports. 9. Stop feet from slipping in shoes. 10. Strengthen stockings and tights. 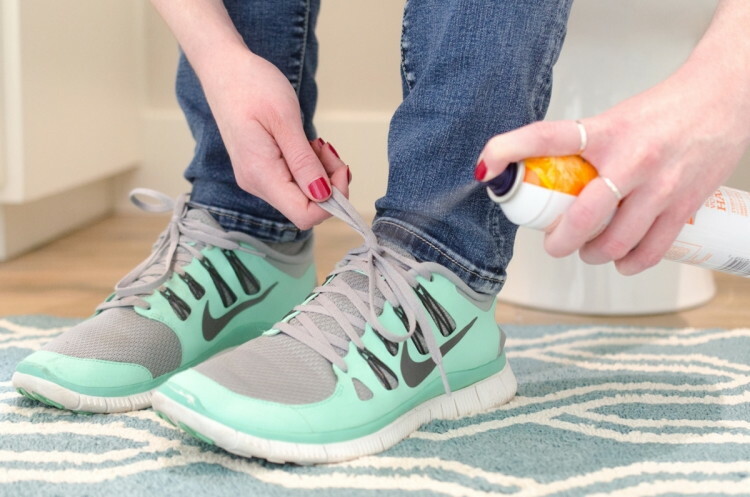 Spray the toes of brand-new stockings and tights before wearing to prevent runs. Or, use hairspray to stop a tear from running in older tights. 11. Dry wet nails faster. 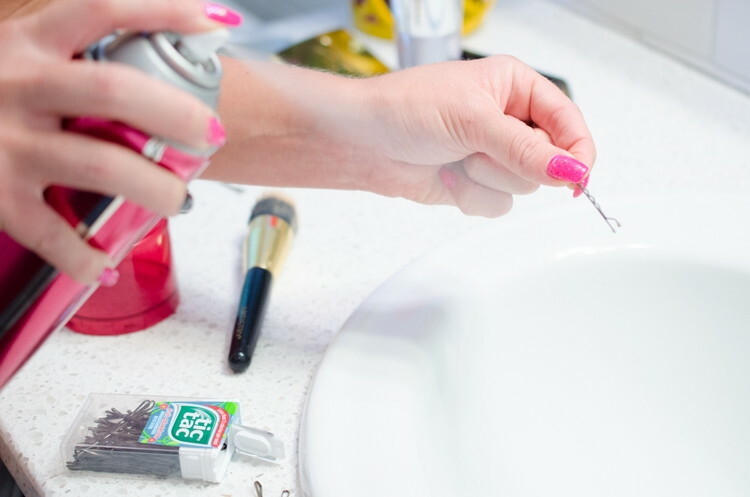 Spray wet nails with hairspray, then dunk in cool water to dry nail polish faster. 12. 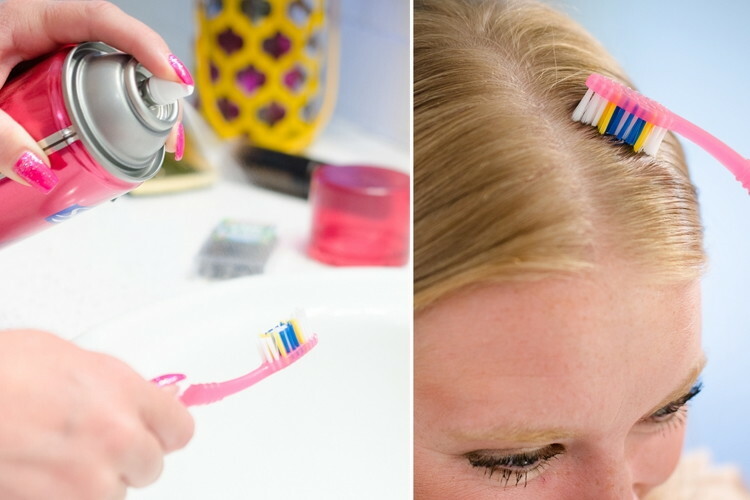 Smooth down flyaways with a toothbrush. 13. 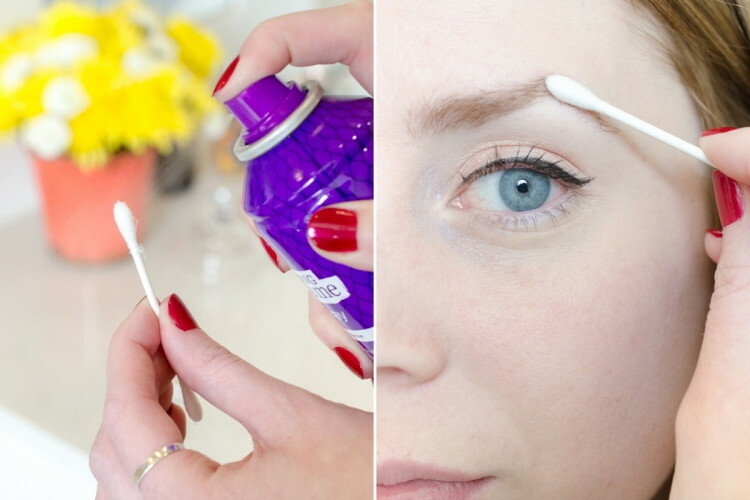 Keep eyebrow hairs in place with a Q-tip. 14. 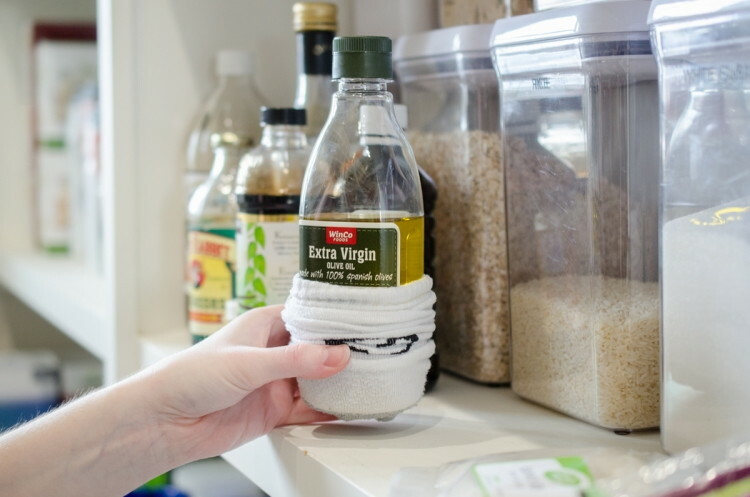 Protect recipe cards from food stains. 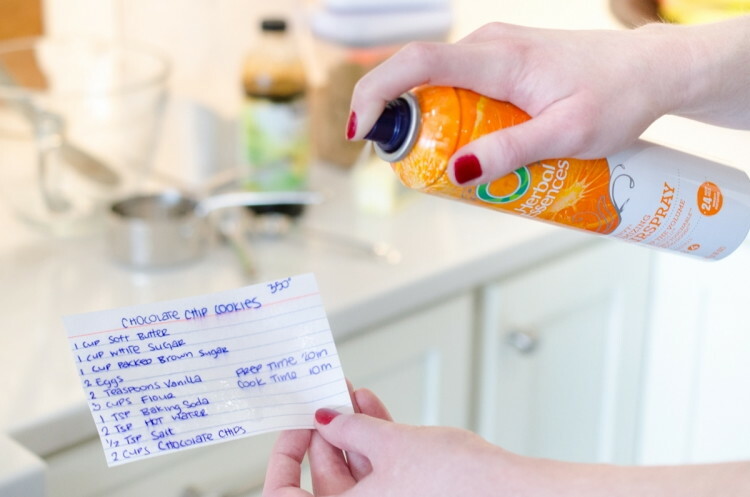 Spray a recipe card lightly, keeping the can about a foot away from the card to prevent smearing. 15. 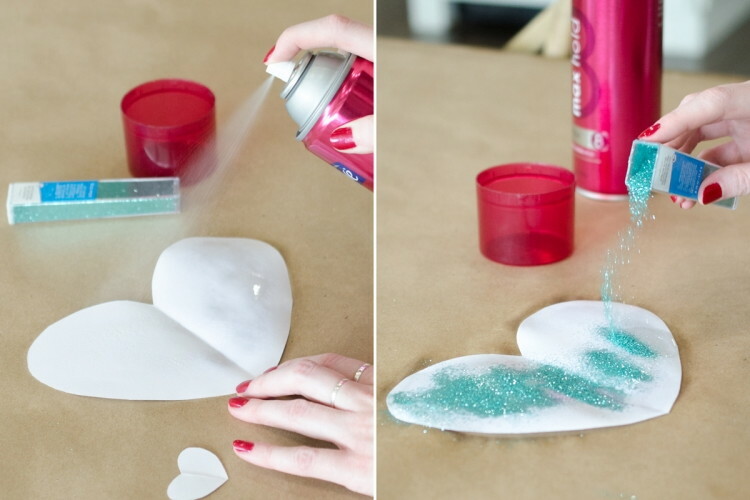 Add glitter to crafts. 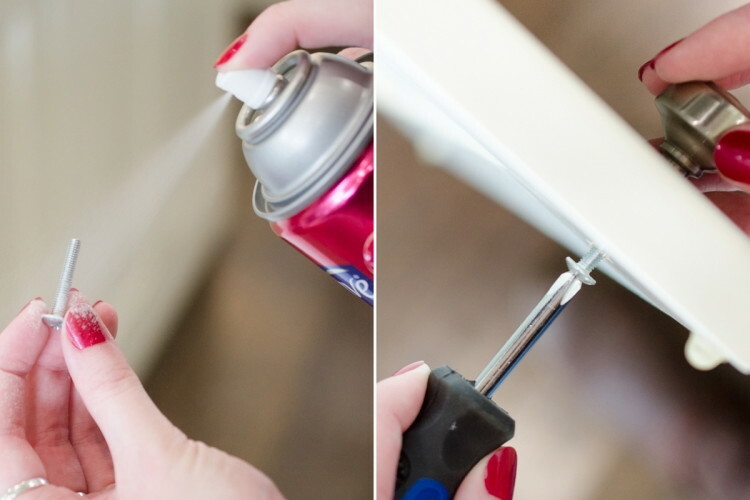 If you’re out of glue, spray a coat of hairspray on paper crafts (thicker paper works best). Then, sprinkle on some glitter, shaking off any excess. 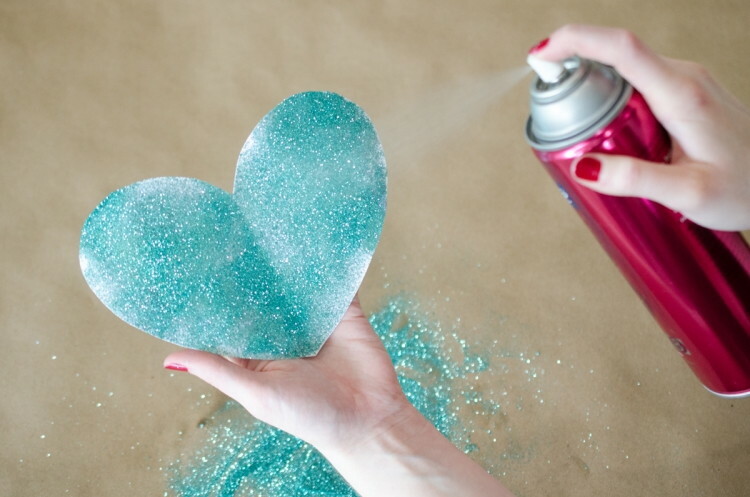 Repeat with another layer, or finish up by sealing the glitter with a topcoat of hairspray. 16. 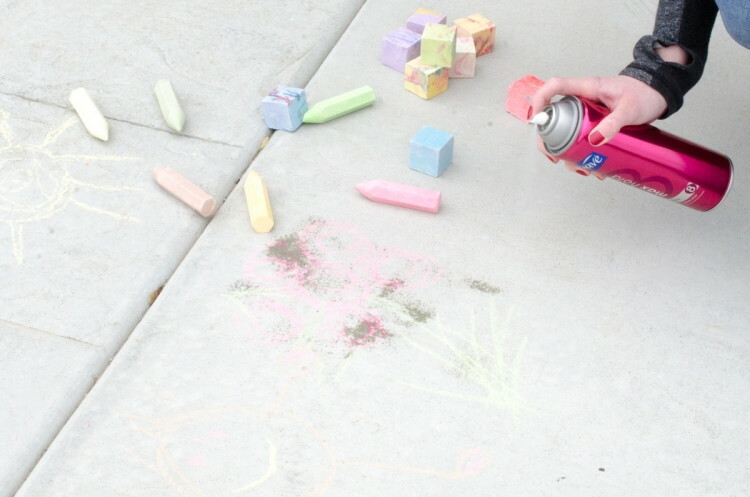 Prevent chalk art from smudging. This works on both sidewalk and paper chalk art.